I am a picture taking queen. I photograph flowers and clouds, and then everything in between, ALL DAY LONG! I'm so bad that I have to constantly back up the photos on my phone and camera to free up space. It was so bad last week at the zoo, for every photo I took, I had to find one to delete off my phone first! Then, of course, I want to show them all off. So, I upload them all to social media, then find myself tired of writing captions for each before I'm half way through! I know you know what I'm talking about. I see so many friends upload a thousand photos from their family trip, and over half are without captions, leaving me clueless to what I'm looking at. Sure, it's a beautiful country side, but where the hell is it? So that's where this new super cool App/Social media platform I just found out about comes in. 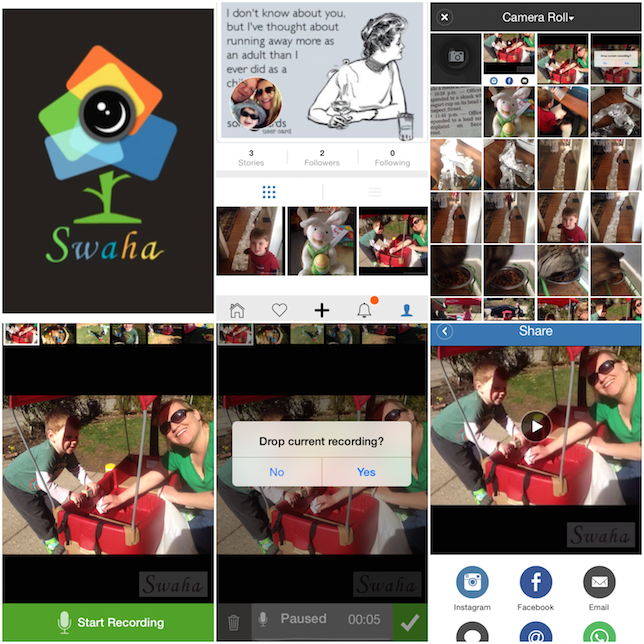 It's called Swaha and it's basically a talking photo album. SO SO SO COOL! “send off” the message. Svaha literally translates to “well said” and what better name for an app that allows you to share your photo stories in your own voice! You upload all of your photos from a trip, or just a super cute one from the day, then record the caption in your voice/child's/dog's/ whoever... and then when your family friends view it, not only do they hear you/child/dog talking, they know what they are looking at in a super fun (and funny) way! LOVE! Of course the app is totally free, and can be easily used by anyone, and for those grandparents who are smartphone and/or app-impaired, you can email them your Swaha. 1. You can use your email or Facebook profile to set up the account. 2. Once set up, click the "+" symbol at the bottom of your profile to start uploading photos. You can create an album, or have a single stand alone photo. 3. Once photo(s) are chosen, press the blue arrow in the top right and then press "start recording" at the bottom. 4. Once you finish with one photo you click the next in the line until you have talked through the album. SO COOL. 5. FYI: If you screw up the recording, you can delete it, and start over. 6. 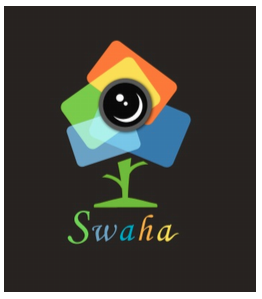 Once you are ready to share, you choose to make the Swaha public or private (There's a social media aspect to the app so you can easily follow friends and family), then you notify everyone through sharing your latest Swaha on any of your social media channels or email it to the grandparents! I have to say, this is one of the coolest apps for photo sharing I have seen in... well... ever I guess! For those of us who prefer a visual explanation, check out my latest St. Patrick's Day' Swaha CLICK HERE! Look for plenty more Swahas on the blog! Imagine how cool it will be to talk through the steps of my DIY projects and be able to fully convey the epic fails and glued-together fingers that it took to make my master piece! Once you download it, follow me.